We were nearly in the middle of balcony across from the stage. Going into the concert, I really only knew the few Cage the Elephant & Black Keys songs that Jordan and I had played on our radio show, but I was still surprised at how much of the music I recognized. 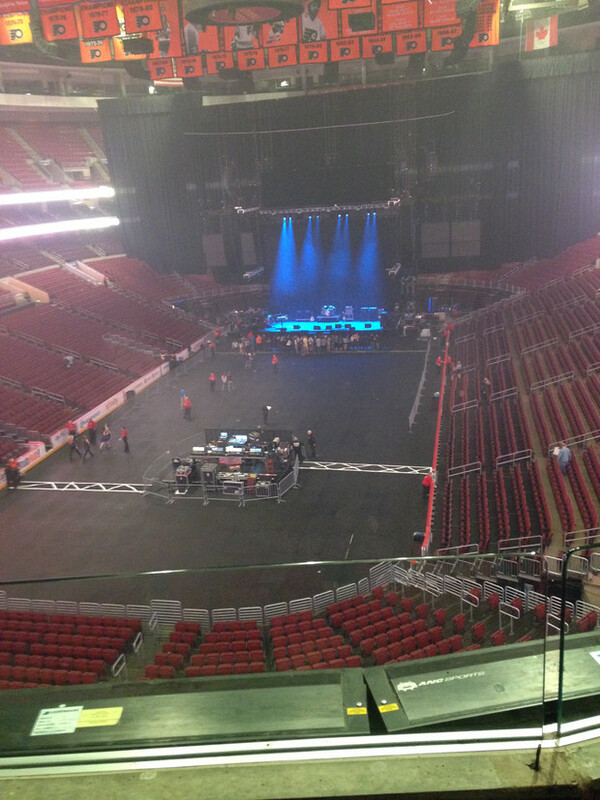 Now, the last time I went to a concert, it was All Time Low. 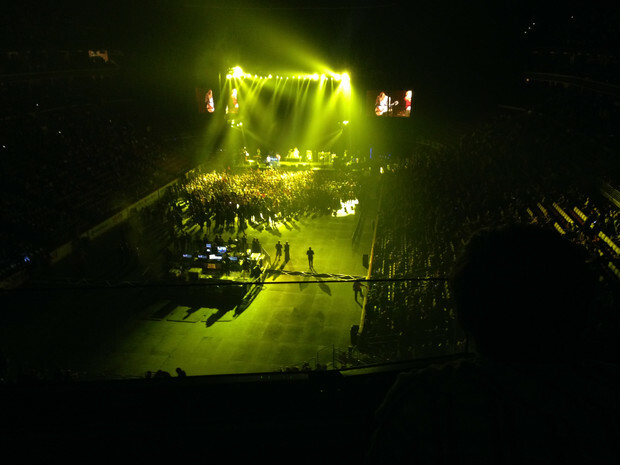 There was no seating at that concert, and an abundance of high school students. This concert, I found, was entirely different. We had seats. I love sitting at concerts. Standing is nice if the song is particularly danceable, but for the most part I prefer to sit and relax. The other thing about this concert is that, with the exception of the two or three people sitting to our left, the entire stadium of concert goers seemed to be in their early twenties to late thirties. There were even a few middle-aged people there. I really love it when music speaks to more than just one age category. It makes it feel more real, somehow (and that’s probably why I’m still obsessed with music from the 70’s and 80’s). The bands were great. The lead singer from Cage The Elephant did quite a lot of crowd-surfing (and lost his shirt in the process. 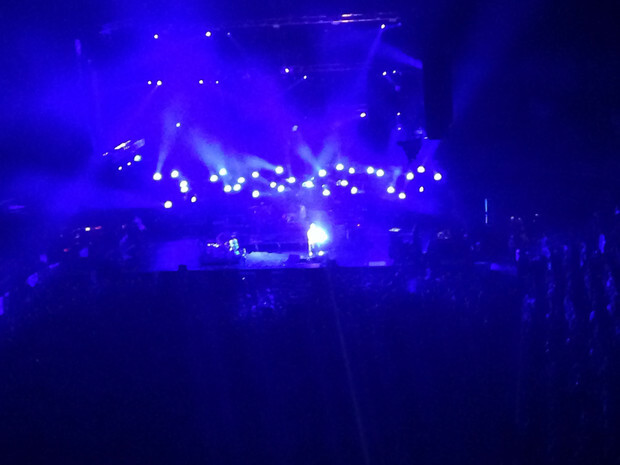 We didn’t complain,), and The Black Keys had a really great light show. Over all it was a successful evening, and I might even consider going to another concert so long as I can sit back and enjoy it. You can check out some more pictures from the show below.Enjoy! 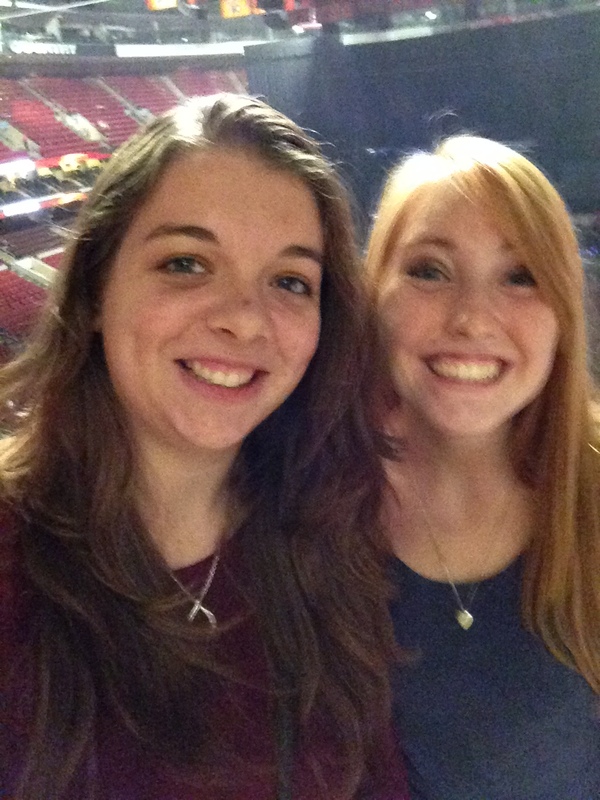 Jordan (right) and I in our seats getting ready for the show. Yes, my iPhone takes blurry pictures. Professional cameras weren’t allowed. I really liked the different colored lights that Cage The Elephant used throughout their set. More of Cage The Elephant. 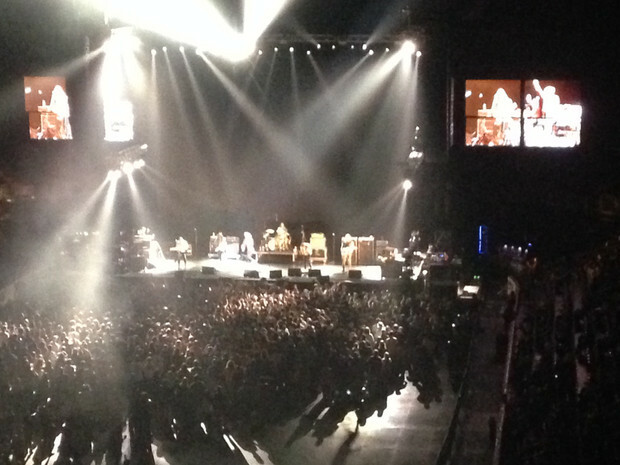 The Black Keys had an insane light set-up. Everything is blue here because this show was part of their Turn Blue Tour. Yes, I bought a t-shirt, and Yes, I will be wearing it frequently in the future.